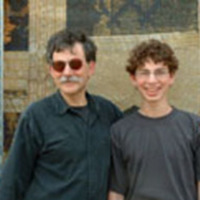 Beginning in 2001, when he was thirteen, my son Simon spent time each summer at Roy and Deborah's home and worked at the Center for History and New Media. Roy was a great mentor, and Simon is a better person for having Roy as a role model. Morning Coffee with Roy, Roy as Mentor""